Daniel G. Viola is a Partner of Sadis & Goldberg LLP and is the Head of the Regulatory and Compliance Group. He structures and organizes broker-dealers, investment advisers, funds and regularly counsels investment professionals in connection with regulatory and corporate matters. Mr. Viola has been active in the Blockchain and Virtual Currency verticals since 2014. He also the founder of the Crypto Asset Webinars and serves as an advisory board member to several ICOs. Mr. Viola served as a Senior Compliance Examiner for the Northeast Regional Office of the SEC, where he worked from 1992 through 1996. During his tenure at the SEC, Mr. Viola worked on several compliance inspection projects and enforcement actions involving examinations of registered investment advisers, ensuring compliance with federal and state securities laws. Mr. Viola’s examination experience includes financial statement, performance advertising, and disclosure document reviews, as well as, analysis of investment adviser and hedge fund issues arising under ERISA and blue-sky laws. From 1997 to 2002, Mr. Viola served as General Counsel for Andover Brokerage LLC, which was ultimately acquired by SunGard (NYSE:SDS). Andover was a self-clearing member firm of the NASD, currently known as FINRA and a trading/technology firm that provided direct-access trading, order routing, and brokerage and clearing services to professional traders. From 2002 to early 2006, Mr. Viola served as the General Counsel to the Carlin Financial Group, which was ultimately acquired by RBC Capital Markets, LLC. 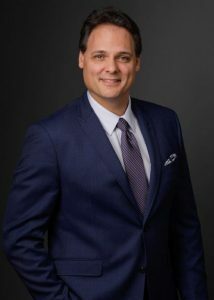 Mr. Viola then founded his own law firm and eventually merged it into Sadis and Goldberg’s law practice in late 2006. Mr. Viola has also obtained several brokerage licenses, including Series 4, 7, 24, 55, 63 and 65.